This evening food market has made a home for itself in an atmospherically lit warehouse (which makes taking pictures with a phone a bit more challenging). 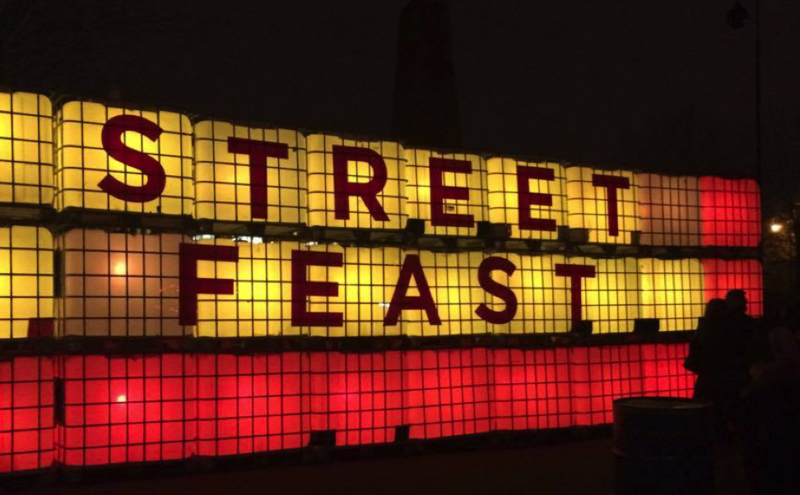 With two other locations in Lewisham and Shoreditch, this place is the largest, and it needs to be; there was no shortage of crowd at all and you have more than a handful of options to choose from! If you scroll down their page you can begin to see the variety to choose from, use the filters to adjust to any dietary needs and have a peek. Plus, with entry at just £3 you might as well get there from opening times to have an extensive starter, main, and dessert. I went with a couple of friends and we had to do a lap or two of both rooms before deciding. One room is a collection of bars which serve a range of drinks including: whisky, wine, cocktails, rum, beer, and gin. The other room, the main room in my eyes, has a long bar area but is mainly an encircling wall of food. My first food choice was going to be something I’d never had before: a steam bun. Yum Bun was going to help me achieve my aim; the idea of a soft and pillow-y carb to munch into sounded dreamy. I went for the tofu option because I’m sometimes a little skeptical about where meat is sourced when I choose to eat out, plus it kind of tests whether the bun is actually good or if they just rely on the meat to hold the thing together as tasty. The portion was quite small considering the price and I could eat it in just a few bites but I would have it again for sure. We finish our food and take in the surroundings before heading in the direction of Chin Chin. If you’re not familiar with Chin Chin, and you haven’t seen TimeOut’s following of this chocolate haven, let me introduce you. 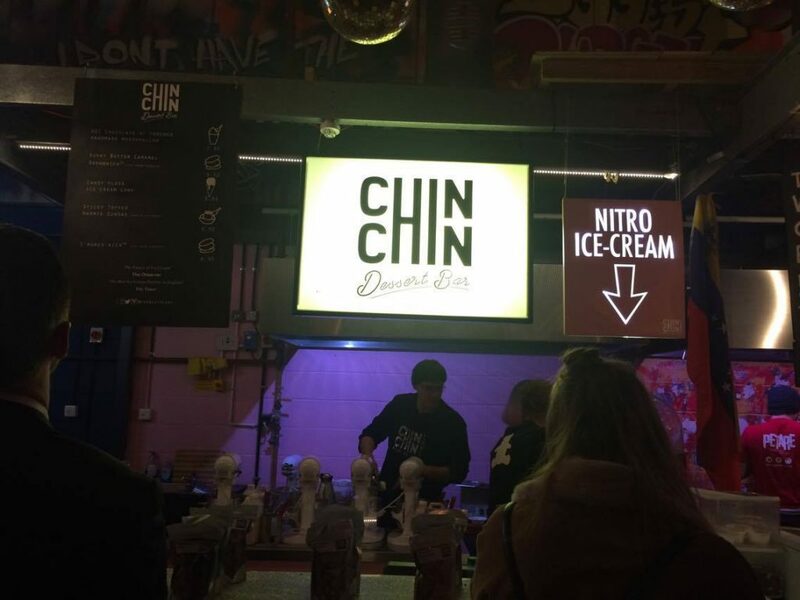 Chin Chin has a hold in Hawker House; their lab HQ lies in Camden Lock KERB and they have a ‘club’ opening this Spring in Soho. Here’s a link to their site so you can check out their changing list of ice cream flavours! They have a couple of odd flavours but still the great classics such as vanilla and chocolate. I’d seen the overflowing hot chocolate many times on my Facebook feed so I was set on trying it out. 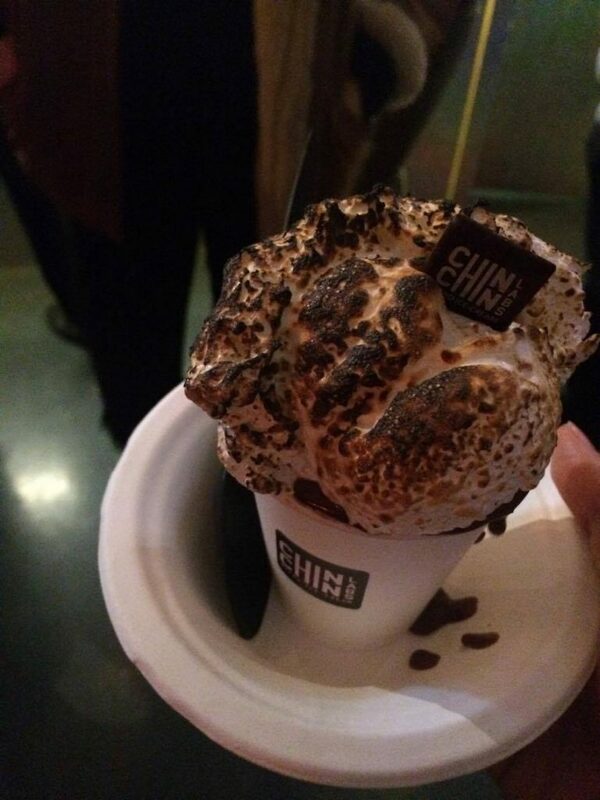 It’s a cocoa rich hot chocolate (that to be honest, wasn’t massively hot) topped with a giant scoop of torched marshmallow with a little Chin Chin chocolate poking out of its sweet cloud. Also, the second you dig in the molten chocolate begins to spill out which is why the bowl is not something you ditch. 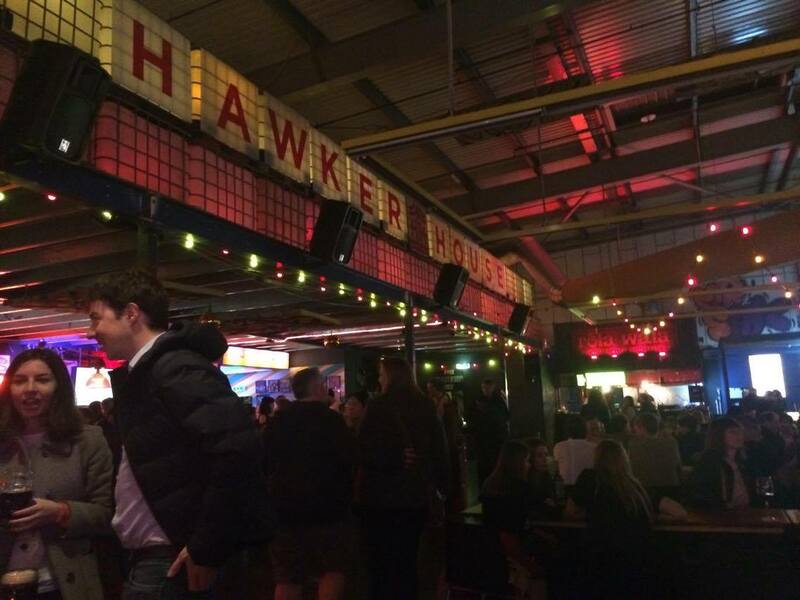 These are just snippets of what Hawker House has to offer but if you want somewhere to eat or drink or hang out, or do all three, this place is definitely worth a visit. It’s unlikely you won’t find something you like, which I why I’m definitely not ruling out another visit in the future.